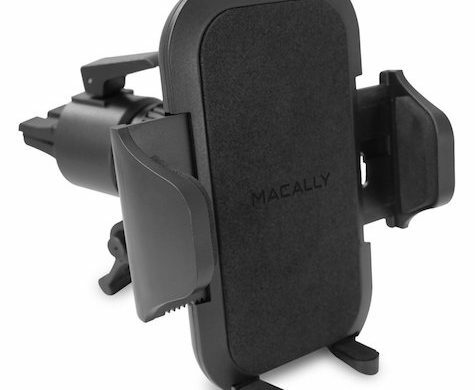 As its name state, Macally’s Venti Fully Adjustable Car Vent Mount connects to the louvers on a car’s dash board. 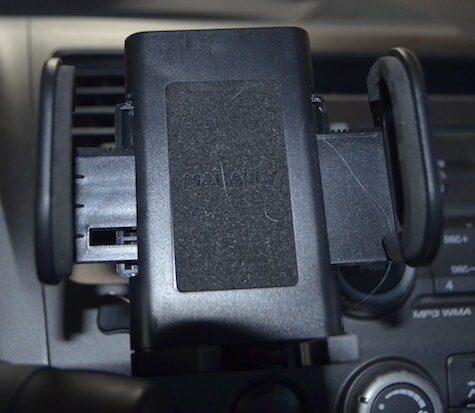 This places your iPhone or GPS device at eye level. 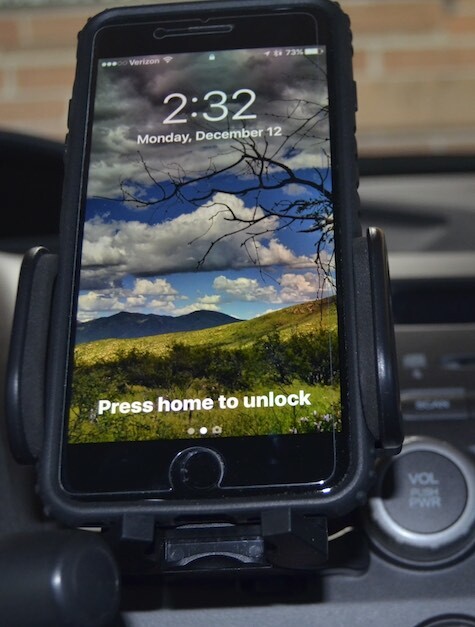 One of the best features about this gadget is that the platform and clamp that hold the phone are deep enough to accommodate a phone without removing its case. The last product of this kind that I tried required that I remove my case. 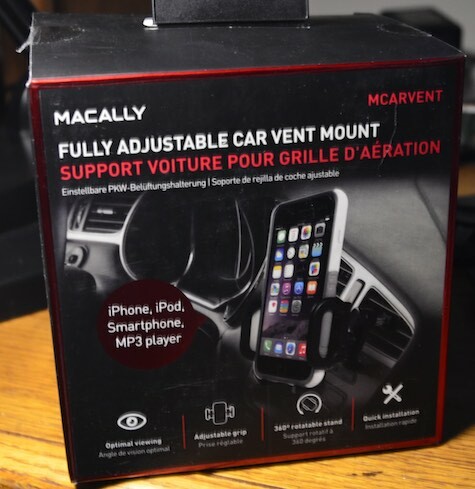 The Macally device also comes with a quick release, a button on the rear that smoothly opens the clamp to release the phone, which was absent from my last product from another vendor. When you unpack the vent mount, read the directions carefully and be sure to pull out the two tabs at the bottom of the device. The bottom of the iPhone rests on the tabs and the clamps hold it snug. The only potential downside to the vent mount is the installation process. The diagrams in the box are hard to follow and the process only became clear when I ignored the drawings and just looked more closely at the device. There’s a spring loaded clip that you depress and push into the vent and then release so that it grabs the back of one of the louvers. This process took me about 20 minutes and some foul language. You may have better luck.